Discover unknown aspects of the famous painter's life and his artistic craft. Rembrandt lived and worked in this beautiful and monumental house between 1639 and 1658. Based on an inventory of the time, the house has been redecorated with furniture, art and objects dating from the 17th century. In the Rembrandt House there are daily demonstrations of etching and paint preperation that show you the way he worked in that period of time. On top of that, there is a continual workshop that is offered at no additional cost, giving you the opportunity to do your own etching in Rembrandt’s student studio (Leerlingenatelier). 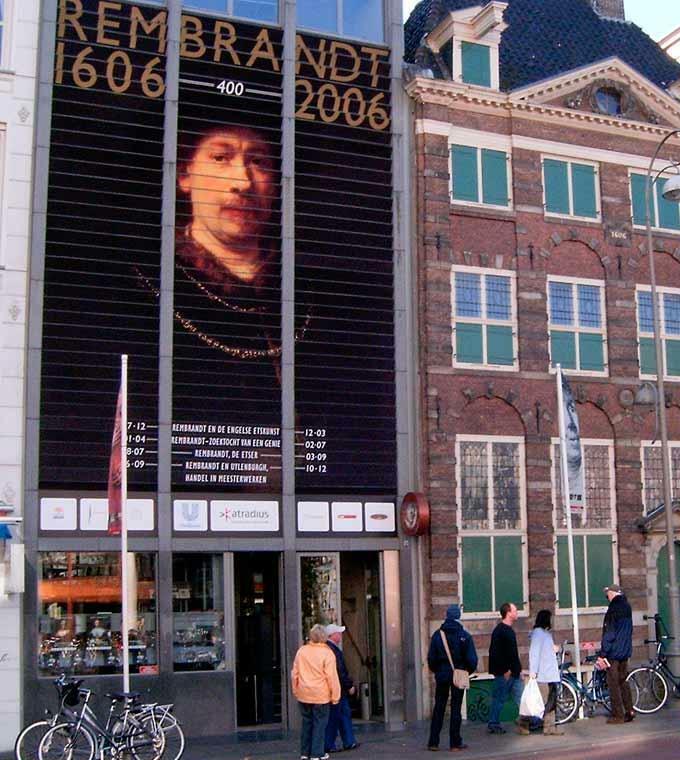 The Rembrandt House owns the virtually complete and world famous collection of Rembrandt’s etchings. In addition, there are frequent temporary exhibitions showing work of predecessors and contemporaries, and modern and current works of art in the modern wing of the museum. All prices include the museum's audio guide. The museum is located in the center of Amsterdam, near the famous Waterlooplein and on a 15 minutes' walk from Amsterdam's Central Station. Every line from and to CS Amsterdam, Nieuwmarkt Station, Hoogstraat exit. Lines 9 and 14, Waterlooplein stop.